A new book from Sarah Jessica Parker’s imprint, SJP for Hogarth: Written from behind bars, the unforgettable collection from one of Turkey’s leading politicians and most powerful storytellers. 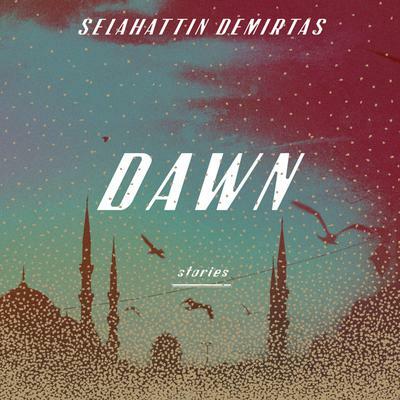 In this essential collection, Selahattin Demirtaş’s arresting stories capture the voices of ordinary people living through extraordinary times. A cleaning lady is caught up in a violent demonstration on her way to work. A five-year-old girl attempts to escape war-torn Syria with her mother by boat. A suicide bombing shatters a neighborhood in Aleppo. And in the powerful story, 'Seher', a young factory worker is robbed of her dreams in an unimaginable act of violence. Written with Demirtas’s signature wit, warmth, and humor, and alive with the rhythms of everyday speech, DAWN paints a remarkable portrait of life behind the headlines in Turkey and the Middle East – in all its hardship and adversity, freedom and hope.